Beating Arcadia University with 5 goals to their 1, Messiah’s field hockey team has now remained undefeated for six consecutive games. Previously awarded the Rookie of the Year award for the Commonwealth Conference, Sophomore Carissa Gehman leads the team in points with 9 goals and 3 assists. Moriah Pfautz, a Junior forward previously awarded Commonwealth Offensive Player of the Year, follows close behind with 7 goals and 3 assists. With an 8-4 overall record, Messiah leads the MAC Commonwealth Conference. 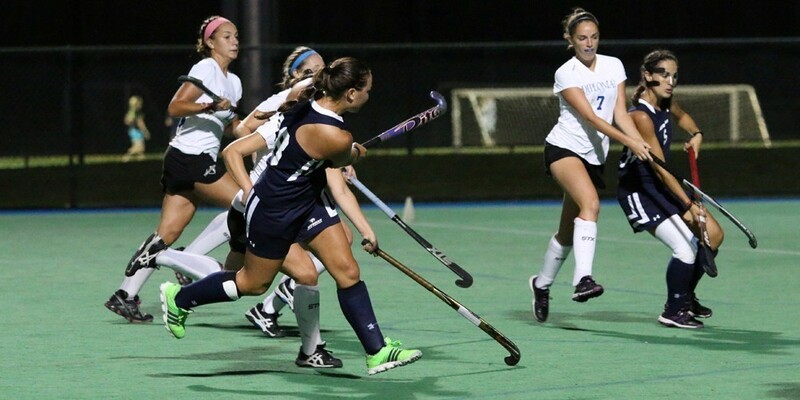 Thanks to Taylor Holt, a Sophomore forward, the field hockey team has been able to retain their leading position. Holt had a role in both game-winning goals over Gettysburg and Arcadia, tallying an assist over the Bullets and a goal over the Knights. 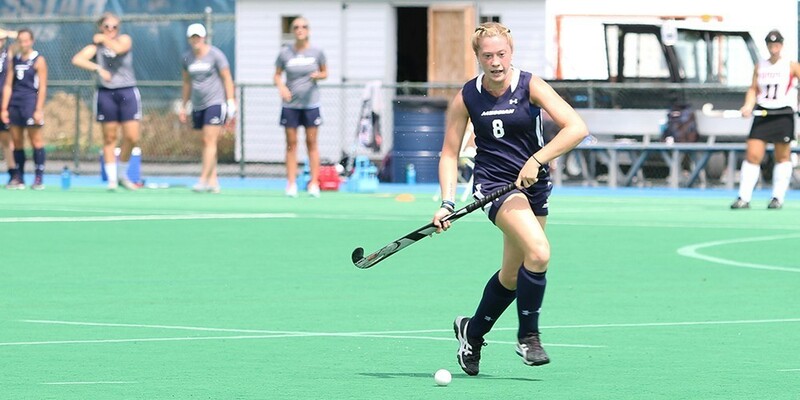 Holt, quickly following Pfautz with 6 goals and 4 assists, was just named the Commonwealth Player of the Week. Still claiming the #17 national rank in the NCAA polls, Messiah’s field hockey program continues this week with an away game against Shippensburg University on Thursday and a home game versus Widener University on Saturday at 1:00 p.m. on Anderson Field. Come support your Lady Falcons on Homecoming Weekend!